Earlier this month Northfield’s Band of Ten Thousand Aches — an aging adult running club founded in 1989 — inducted longtime Northfield residents David Wee (at left in photo) and Peter Sandberg (at right) as the first members of its Hall of Fame. It all began when Sandberg, assistant vice president for facilities at St. Olaf College, convinced his running friends to form a club/team to compete in the annual Edmund Fitzgerald 100k (62 mile) 8-person-team relay race along the North Shore. For years Sandberg ran the difficult pre-dawn 20k first leg (12 miles), setting the pace for Northfield’s Masters team (over age 40) to regularly finish first or second. The 3rdAnnual Northfield Table Tennis Tournament will be held on Saturday, May 5, 2012 at the Northfield Middle School, 9am – 5pm. In its 3rd year, this event is sponsored by the Northfield Senior Center, and draws top table tennis players of all ages from southeastern Minnesota. This is an Open tournament; anyone interested in competing may enter, but there is room for just 60 entrants. Players may compete in singles, doubles or both. For more information and a registration form, see the Senior Center website: www.northfieldseniorcenter.org. The Northfield Convention and Visitors Bureau (CVB) is currently collecting travel packages & promotions starting with the months of May and June. Accommodations, restaurants, area attractions & retail shops are encouraged to collectively, or independently, develop their own enticing travel packages and/or share deals for spring and early summer promotion. General theme suggestions for the upcoming tourism season are around music, recreation, history and the arts tied with lodging, dining and shopping. See a list of upcoming events here. Please send submissions to info@northfieldchamber.com by Friday, April 20th. This listing will be promoted through the Northfield CVB’s website at no cost to participants. The Northfield Swim Club is looking for new sharks to join their team! The recent successes of the Northfield Swim Club includes a 5th place finish as a team at the state championships in March. We want to win! And, we need you to do it! The Northfield Swim Club Bull Sharks will be hosting a clinic for beginner swimmers starting April 16. The clinic will run for two weeks and meet Monday-Friday from 6-7 pm. This clinic will introduce all four competitive strokes, touch and flip turns and diving off the side of the pool with a possibility of diving off the starting blocks. After the clinic, the swimmer and family has an opportunity to join for the full season. Half of the clinic fee will be applied to the membership fee for all those who join immediately following the clinic. Come join our team! On February 11, Andrew Wilson faced a choice. As a member of the Northfield High School boys varsity swimming and diving team, he could compete in the Missota Conference finals in Northfield, or he could head about 50 miles south to Mantorville to compete in the regional round of the Poetry Out Loud competition. Wilson chose to recite poetry. Actually, the choice had been made three weeks earlier, when Wilson became aware of the conflict and approached Coach Davis to request permission to attend the Poetry Out Loud semifinals. It’s an indication of his character that Wilson not only obtained his coach’s permission, but was later chosen as one of the captains of next year’s swim team. It’s an exceptional student who has to make the kind of choice that Andrew Wilson made, but Wilson—an ARTech junior who is also a star of the Northfield cross country and track teams—takes it all in stride. A Northfield man who helped a group of teenagers from the Key build a canoe is the February 2012 recipient of the Healthy Community Initiative “Making a Difference” Award. The award celebrates those groups and individuals in the community who have a positive influence on Northfield youth. John Daniels spent nine months guiding the teenagers through the 200-hour process of building a cedar strip canoe, which will be used for a fundraiser. It was his fifth canoe project, but the first one involving youth. A few St. Olaf-related news items of note from the past week include an alumnus winning his second Caldecott Medal, longtime Northfield resident and Professor of Philosophy Gordon Marino (in photo) writing about the legacy of Joe Paterno in the Chronicle of Higher Education, and a Star Tribune obituary about how the late Frank Gery (find the Strib link at the end of our story) transformed the St. Olaf Economics Department "into a bastion of modern economics, steeped in statistical analysis." For those of you who may not have heard, Special Olympics Gymnastics will be starting at the Northfield Gymnastics Club in ONE WEEK. This is NOT a new sport to Special Olympics, BUT it is definitely new to Area 10. 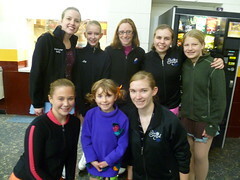 Practices will begin at 5:30 PM on Sunday, January 15, 2012 at the Northfield Gymnastics Club. Special O Gymnastics is an excellent opportunity for you to “benefit physically, mentally and socially”. Competitions are offered for men/boys in the artistic events and women/girls in artistic and rhythmic events. This is open to ANY person; male and female, and any skill level. If you have any further questions contact Kathy Lean, Head Coach Area 10 at 507.645.4817 or Melissa Bernhard, Program Coordinator, Northfield Gymnastics Club at 507.663.7773. Please plan on accompanying your child or client throughout the duration of the practice. Skating School Registration Open Until 1/9 - A Great Winter Gift! Join the Northfield Skating School for our winter session of skating lessons! This is the final chance to sign up for the 2011-12 season. Online Registration is open now through January 9th, 2012. Programs include group lessons, private lessons, specialty classes, and extra practice ice. We are an official U.S. Figure Skating model program with the mission "Building Skills and Confidence for Skating and for Life." We teach skaters with a full range of goals, including recreational and competitive skaters, adults, and hockey players. See our website for class descriptions, full calendar, and for more information about our NEW Preschool & Homeschool program and our evening program with the St. Paul Figure Skating Club. The Northfield Tennis Association (NTA) invites you to its annual meeting on MONDAY, DECEMBER 5, 2011, from 7:00-8:30 p.m. The gathering will take place in room SS106 of the Northfield Community Resource Center (1651 Jefferson Pkwy). 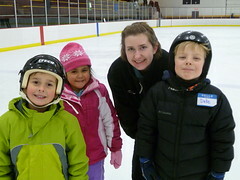 On Sunday, Nov 20, the Northfield Skating School welcomed dozens of new skaters to the Northfield Arena for our annual Bring a Friend Day. Parents, siblings, neighbors, and friends enjoyed a lesson with an NSS coach and time to learn new skills with their friends. Lessons were followed by a special exhibition of competitive skaters from the Northfield Skating School and guest skaters who train with NSS coaches at the St. Paul Figure Skating Club and Eagan Ice Crystal Figure Skating Club. For more photos and information about our programs please visit our website. The Northfield Tennis Association (NTA) is accepting nominations for the 2012 NTA Board of Directors. The NTA works to help promote the development and growth of tennis in the Northfield area. The NTA board meets 5-7 times per year and provides oversight to the association. The NTA is particularly interested in adding board members who have a passion and ideas for additional tennis playing opportunities in the community. Nominations are due by WEDNESDAY, NOVEMBER 30. Chuck Perkins, a volunteer coach with the Northfield High School Raiders football team, is the September/October 2011 recipient of the Healthy Community Initiative (HCI) “Making a Difference” Award. The award celebrates those groups and individuals in the community who have a positive influence on Northfield youth. Registration Open for Session 1 Skating Lessons! NEW programs and more lesson days! 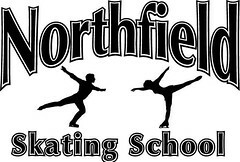 Registration is open for Northfield Skating School Session 1 classes, which now include 3 days of group lessons! View our class descriptions and calendar to find out about our NEW Tuesday evening program with the St. Paul Figure Skating Club and our NEW Thursday Pre-school/Homeschool Group Lessons. Tuesday evening classes have begun and continue year-round. Register at any time. First class is FREE! Thursday homeschool/preschool classes begin Sept 29. Register by Sept 20. Sunday afternoon classes begin Oct 2. Register by Sept 20. Northfield Skating School is our community skating program run in collaboration with Northfield Public Schools Community Services Division. We are a U.S. Figure Skating model program open to all levels of skaters, beginner through advanced, ages 4-adult. Hockey players are welcome. Read more about our local and national recognition at www.northfieldskating.com. Please note the corrected registration time. Registration begins at 9:30 a.m. The Northfield Area Family YMCA and Northfield Rotary are teaming up to help local residents get the most from their uphill climbs. A Nordic walking/hill bounding clinic is set for Saturday, Aug. 20, at Buntrock Commons, on the campus of St. Olaf College. Nordic walking uses poles for a full-body outdoor exercise for people of all ages. The poles equalize stress across the body, reducing the impact on lower joints. Hill bounding builds on the benefits of Nordic walking. It is an activity used by Nordic skiers for off-season training. Jessie Diggins, a competitive skier who recently graduated from Stillwater High School, will lead the clinic. She also will speak about her victory at the United States Nordic Senior Nationals and her participation in the Nordic World Cup and world championship during a buffet lunch that is included as part of the clinic fee.